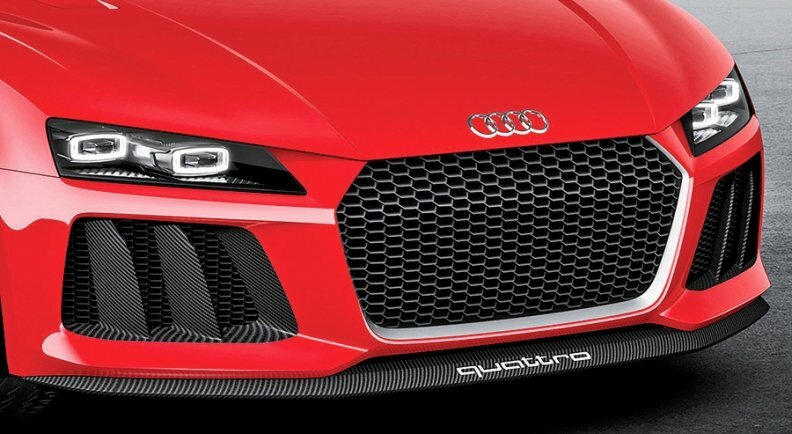 Audi's Sport Quattro concept, featured this week at the consumer electronics trade show in Las Vegas, has laser high-beam headlamps. LAS VEGAS -- Audi CEO Rupert Stadler says the automaker will introduce a production vehicle equipped with laser headlights, though he did not indicate which model will get lasers, or when. Stadler announced his plans for lasers on Monday night during a flashy premier of the Sport Quattro concept, which features LED low beams and laser high beams. While he did not detail his production plans, Stadler did note that the 2014 R18 E-tron Quattro racecar will have laser headlights. But rival BMW Group may beat Audi to the punch. BMW has announced plans to introduce laser high beams later this year as optional equipment in its i8 plug-in hybrid supercar.